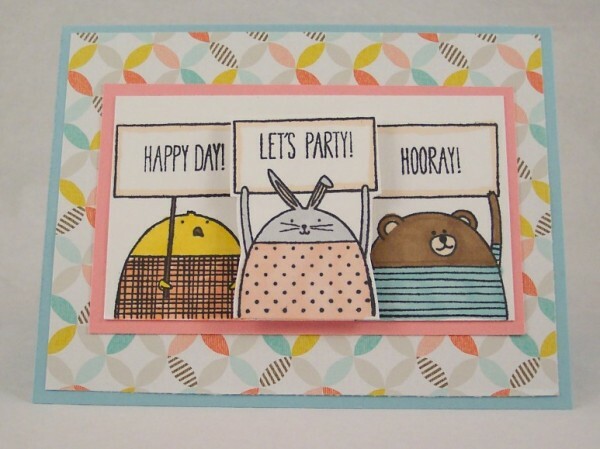 I’m so excited to share with you my latest review for Stampin’ Up! Right now Stampin’ Up has two fabulous catalogs, the first is their Occasions catalog and is a supplement to the regular yearly catalog adding wonderful products for Valentine’s Day, Spring, Easter, weddings, baby, birthdays and more. 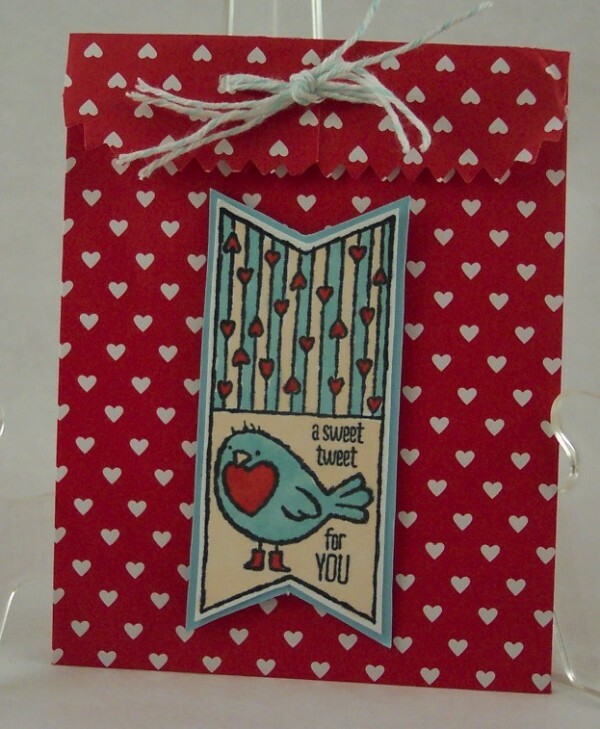 There are new clear, cling and wood mounted stamps, pattern papers, die cuts and embellishments. The Occasions catalog runs from January 6th though June 2nd 2015. The second catalog is the Sale-A-Bration catalog, for every $50 you spend with Stampin’ up you can choose items from the Sale-A-Bration catalog for free! These products can not be purchased and can only be obtained by earning them during Sale-A-Bration from January 6th though March 31st 2015. Click on the highlighted links to see everything available in these great new catalogs. For my first project (shown above) I used the adorable new Cheerful Critters stamp set from the Occasions catalog, stamping each animal out with Black Memento Ink and coloring them with Blendabilities markers, this is the perfect ink to use with alcohol based makers because it won’t bleed. The pattern paper is from the Best Year Ever Designer Series Papers from the Sale-A-Bration catalog. Next I used some of the awesome Chalkboard Paper from the Occasions catalog, this paper is thick and has the look and feel of a chalkboard, one side works with the ColorBox chalk ink pads and the reverse side works with Stampin’ Up Craft Ink pads. I used the ColorBox chalk ink pads in Aquamarine and Rose Coral to stamp words from the Big Day stamp set (available from Sale-A-Brations). 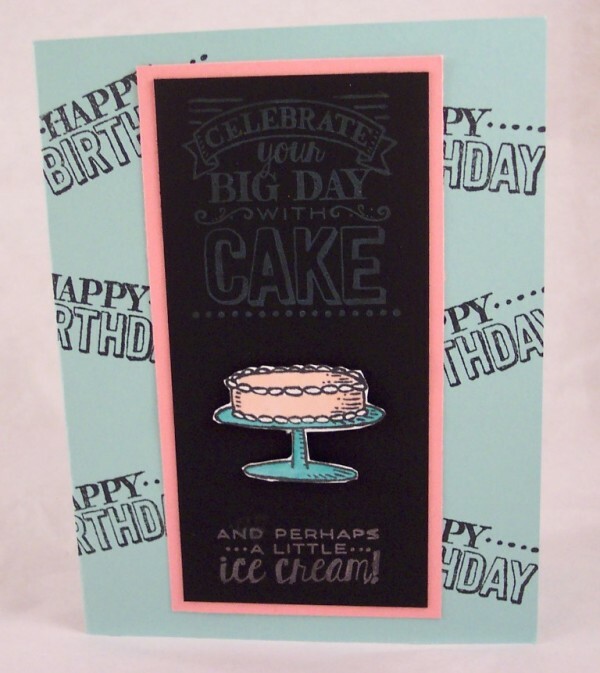 I also stamped the cake onto white cardstock and colored it with Blendabilities markers. I love how cool the chalk inks look on the Chalkboard paper! Lastly I made a sweet little treat bag and decorated it with a stamp from the Hey, Valentine stamp set, colored with Blendabilities markers and tied the bag with Bermuda Bakers Twine. This set is perfect for making Valentine’s cards for your child’s school friends. I hope you’ve enjoyed taking a peek at some of the great new products available now from Stampin’ Up. Check back soon, I’ll be sharing more samples!